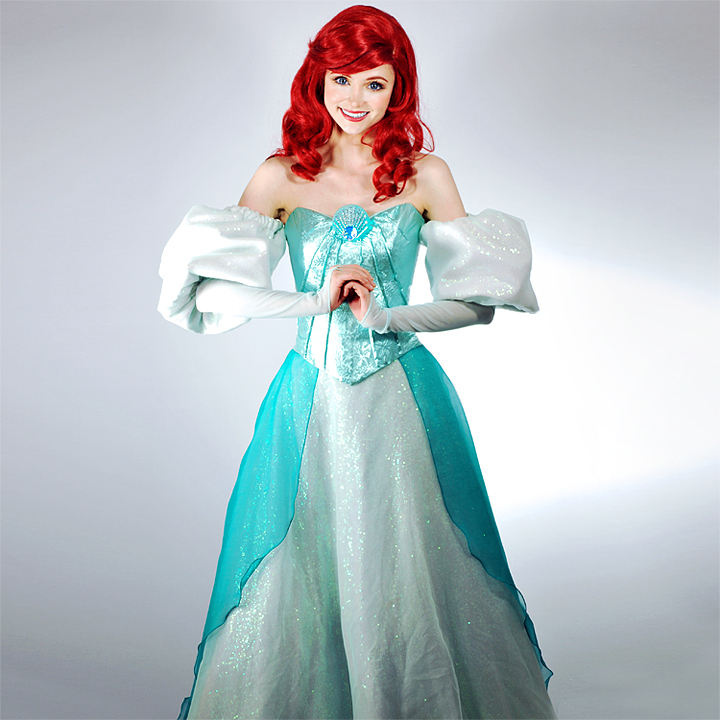 Book The Little Mermaid for your princess party! Add a second character and get 15% off all characters. On land or sea, she’s sure to make a splash. 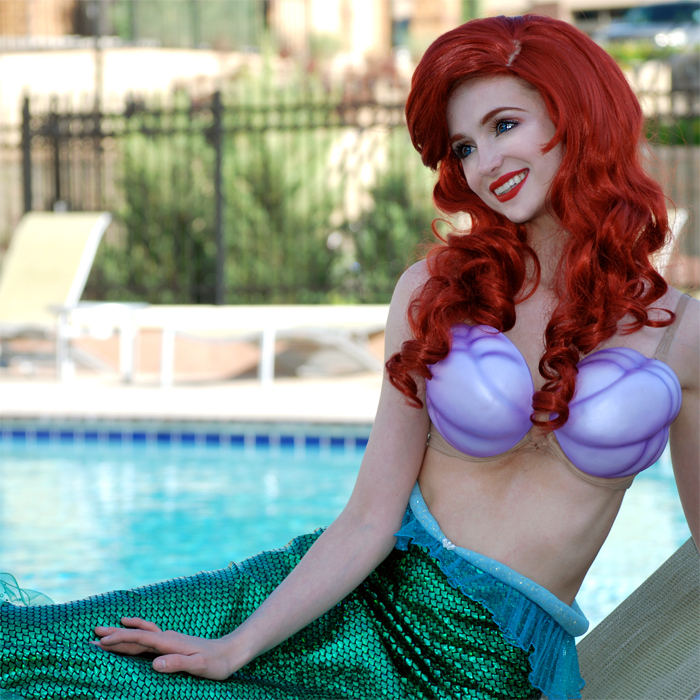 Invite the The Little Mermaid to your little one’s special day for a swimmingly good time. The Little Mermaid comes with three dress options: her casual dress with the big blue bow in her hair, her fin with purple shells, and her sparkly gown. The casual dress is a cute, fun option. 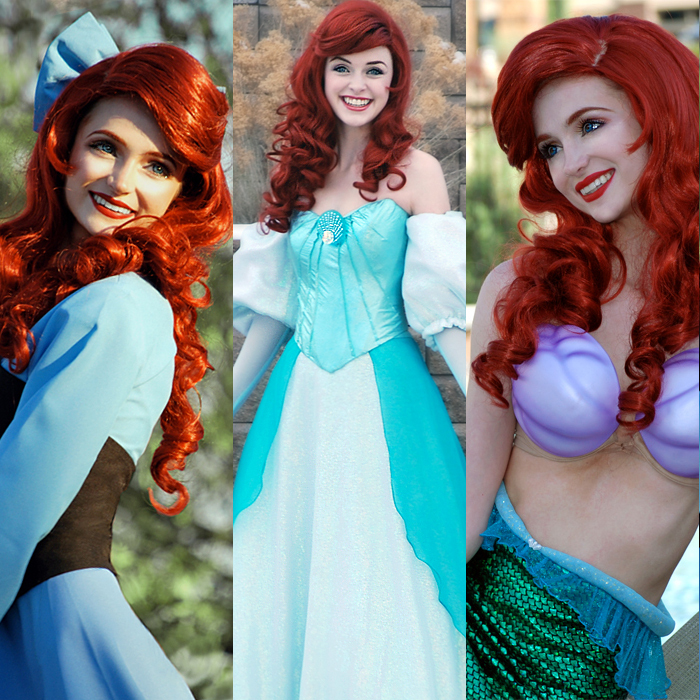 Her shells are classic and instantly recognizable as The Little Mermaid. Her sparkly gown is the most elaborate and glamorous; it’s a one-of-a-kind couture gown with 102 Swarovski crystals on the hand-crafted resin seashell brooch and thousands of iridescent sequins on the skirt and sleeves under an airy organza overlay. 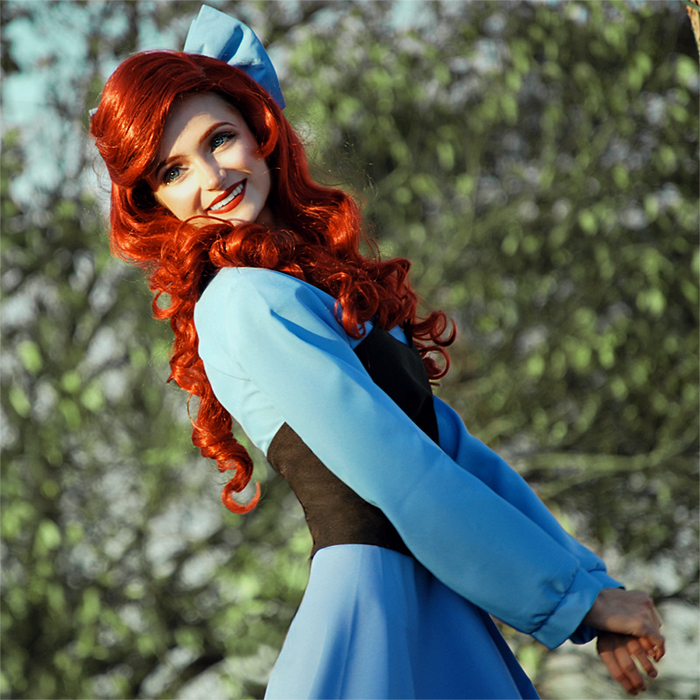 When The Little Mermaid spins in her gown, the light hits the sequins to look like bubbles. Due to it’s extremely delicate nature, the gown may not be booked at outdoor events unless you have confirmed with us that it will remain in a space protected from the elements so the dress cannot be damaged. Please note this is not a swimming mermaid for parties in pools (although she can visit next to the pool).